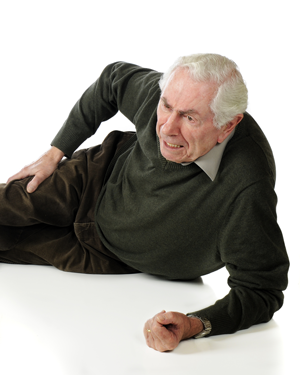 Slip & fall accidents are a very common cause of serious personal injuries in Florida. Many Slip & Fall accidents cause injuries that are equal to or worse than a car accident. Some slip and fall injuries leave bumps and bruises that will fade in a few days or weeks. Too many other slip and fall accidents cause more serious injuries, including broken bones and head trauma. In many of these causes, the owner or manager of the property can be held accountable because their negligence caused the accident to occur. Failure to clean a spill by the fountain drink machine, failure to put a wet floor sign on a wet floor, or failure to maintain a staircase are examples of the type of negligence that are common in slip and fall cases. Personal Injury Attorney Matthew Sean Tucker can evaluate your case and explain your rights during a free confidential consultation. A Slip & Fall Attorney at Tucker Law Can Help You! A Tucker Law Car Accident Attorney can help to obtain the maximum amount of compensation available for from each and every insurance company. In many cases, Tucker Law will be able to uncover insurance policies that you would not have otherwise found on your own. Further, the Firm will investigate your case to determine each insurance policy where benefits may be recoverable. Let a Tucker Law Slip & Fall Attorney fight the insurance company on your behalf to seek maximum compensation. Slip and fall accidents can cause life altering serious injuries. Some of the injuries include broken and fractured bones, head trauma, tailbone injuries, wrist and ankle injuries, spinal cord injuries, as well as neck and back injuries. With elderly victims, these catastrophic injuries can lead to even more serious conditions, and the healing process be particularly lengthy. Victims may require emergency medical care. After the initial injury, the victim may require in-home therapists and nurses. Every business and property owner owes an ordinary duty of reasonable care. That duty may vary depending on whether the individual on the property was invited, was a trespasser, or was a child attracted onto the property. For example, if an individual was invited onto the premises by the owner, the owner must maintain the premises in a reasonable safe condition. But businesses even owe a duty to trespassers, such that the owner who knows of a condition on the premises which presents an unreasonable risk of harm has a duty to warm of the condition and the risk. Tucker Law will help you obtain the compensation that you or your family member is entitled, including past and future medical expenses, rehabilitation costs, pain and suffering, loss of past and future wages, and loss of the enjoyment of life. Personal Injury Attorney Matthew Sean Tucker is ready to provide you with a free consultation to review the facts of your particular case.